the Cards she managed to raise two kids and considers them her treasured gift. characters, especially Lizzie. Tell me more about her and how she spoke to you. attention on the book, but sometimes it’s not that easy! 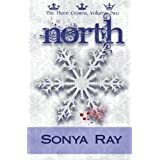 trilogy is a terrific way to keep the love and momentum going with your novels. first of the year. The whole series should be complete by the first of 2016.
two more New Adult Paranormal books, and a Chic Lit all in the works. prompted you to write paranormal? the readers something about yourself that might surprise them. cancer free for fourteen years. You’ve got to tell us more about Broken Boundaries, Volume III. wants Lizzie to know about the true nature of the world that surrounds her. her safe, placing her in mortal danger. the rest of you remember, some Sweet Tea is good anytime of day! 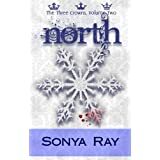 below is how you can find Sonya Ray on social media. 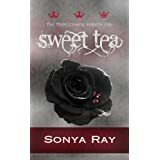 Be the first to comment on "Sweet Tea with Sonya Ray"
Sorry I'm a little late to getting around to reading this, Sonya, but I think you have an interesting life. It's hard to work full time, raise a family, and write at the same time. I'm particularly impressed at the number of works you're completing. I have found it hard to complete just two novels in the last four years.